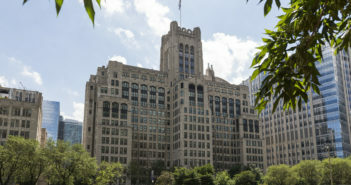 Northwestern Medicine scientists have developed technology that uses genomics and data analytics to efficiently screen for molecules produced by molds to find new drug prospects. The Northwestern community gathered to celebrate as a ceremonial steel beam was set in place atop the Louis A. Simpson and Kimberly K. Querrey Biomedical Research Center. 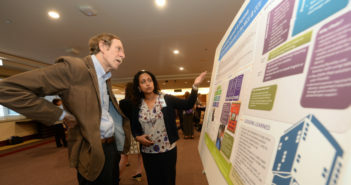 Northwestern recently celebrated the 10-year anniversary of the creation of the Healthcare Quality and Patient Safety program, the first graduate-level program in the field. Northwestern Medicine scientists studied a poxvirus and demonstrated that ribosomes can selectively control the process of protein synthesis known as translation. A cancer drug for certain types of leukemia and lymphoma can also prevent reactions to some of the most common airborne allergies, according to a recent Northwestern Medicine study. A new study explains how mutations in a sodium channel can lead to a disorder causing insensitivity to pain. Northwestern Medicine scientists have discovered the mechanism that drives primary lung allograft dysfunction, the leading cause of death after lung transplantation. Three faculty members were recently inducted into two prestigious organizations, the American Society for Clinical Investigation and the Association of American Physicians. Michael Musharbash, a second-year medical student, has received a Schweitzer Fellowship to implement educational services for LGBT and homeless youth at the Center on Halsted.